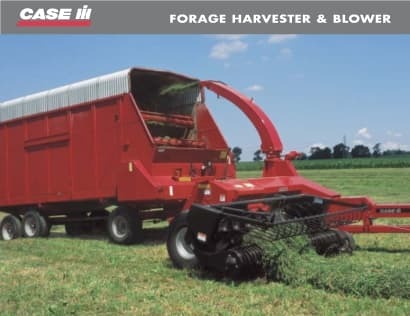 4 Models, 1,000 rpm:The Case IH FHX300 pull-type forage harvester swiftly harvests crops. The 1,000 rpm driveline, heavy-duty components and wide crop heads harness big-tractor horsepower and turn it into high-capacity harvesting performance. Ground-hugging HDX10P/HDX20P windrow pickups gather the entire crop. Grabs every stalk grown even in lodged crop conditions. Heavy-duty gauge wheels handle rough ground while ground-hugging HDX10P windrow pickups (76 in) gather the entire crop. Heavy-duty gauge wheels handle rough ground while ground-hugging HDX20P windrow pickups (92 in) gather the entire crop.